Last week while walking in the woods, I stopped to pick up a flower. I can imagine if you did not know, the flower would be a puzzle, lying there on its side, with no others growing in the soil nearby. But I have seen these many times, so I know to look up, way up. 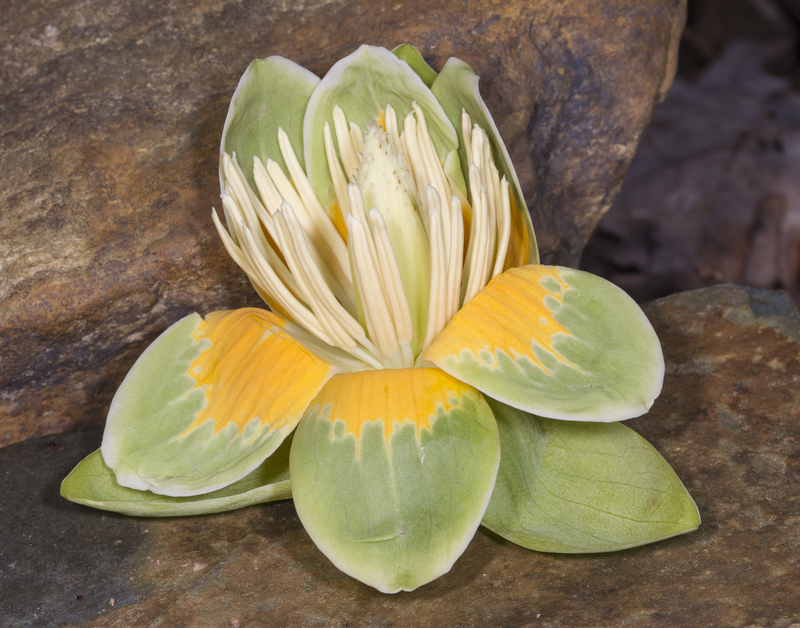 This is the beautiful flower of one of my favorite trees, the Tulip Poplar, Liriodendron tulipifera. You have to be on a slope looking down or in a multi-story building to get an eye-level view of this beauty as they typically grow forty or fifty feet high in the branches of large trees. It is really amazing how many of these flowers there are up there when you start looking. I counted close to 30 on this one branch. The tree easily has thirty or more branches, so there are at least a thousand flowers on this one tree. Multiply that by the twenty large Tulip Poplars just around the house, and you can see that, in this patch of woods alone, there are tens of thousands of these large showy flowers suspended over my head. I pulled back the petals a bit on the flower I found to get a closer look at its inner workings. It was sticky to the touch, perhaps indicating a lot of nectar, or maybe some aphid honeydew, or both. 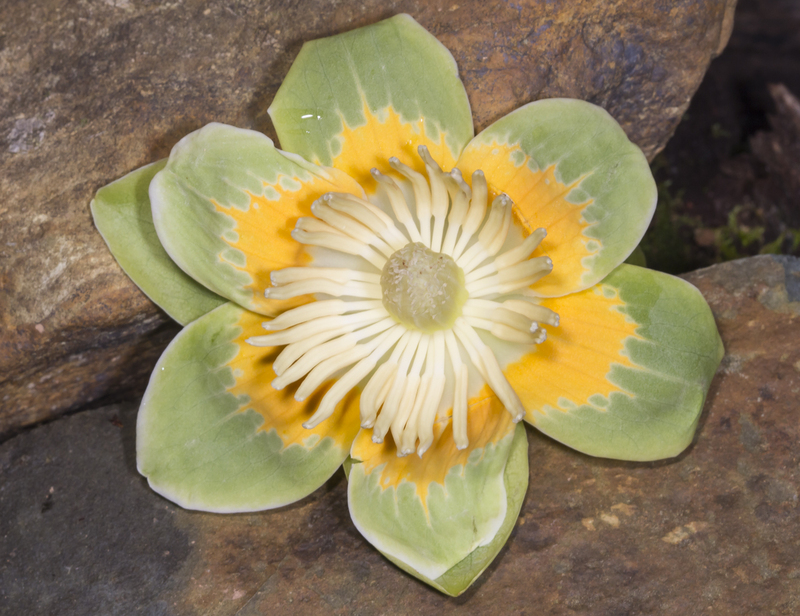 There are six petals, dabbed in a yellow-orange that compliments the light greens of spring. But the most striking aspect up close is the army of thirty or so stamens surrounding the fused pistils. 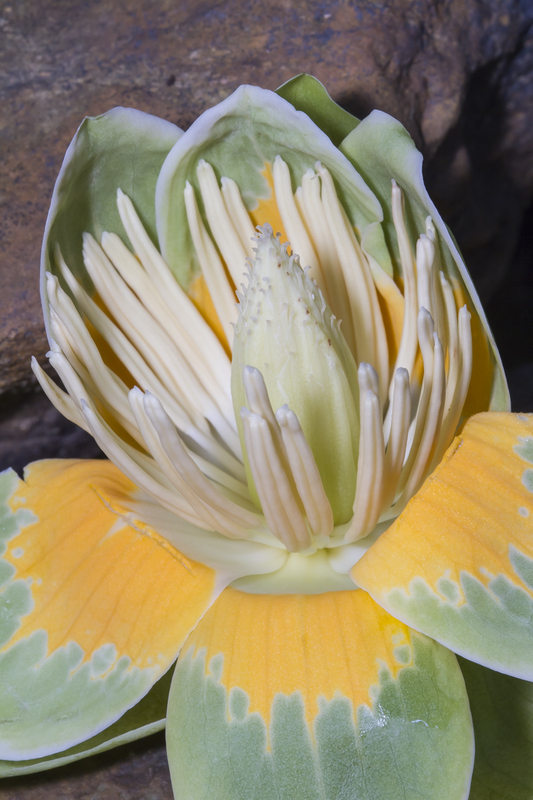 All of this, the color, the nectar, the size, and abundance, make Tulip Poplar flowers very attractive to pollinators such as butterflies and bees. But, it apparently is a race against time. A USDA publication suggests that the flowers must be pollinated within a day or two in order to produce seeds. 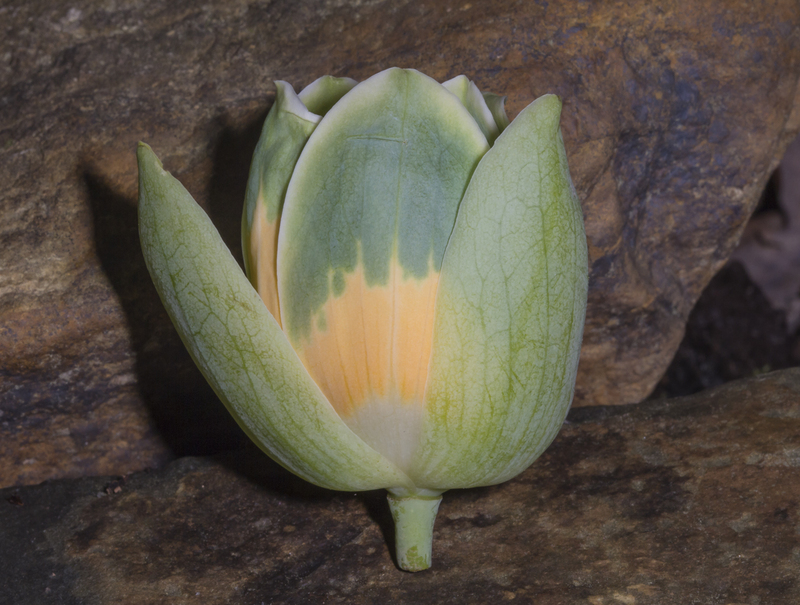 Even though the Tulip Poplar flowering time is waning, I still find a gift from the sky every now and then on my morning walks. One more reason to appreciate these magnificent trees. 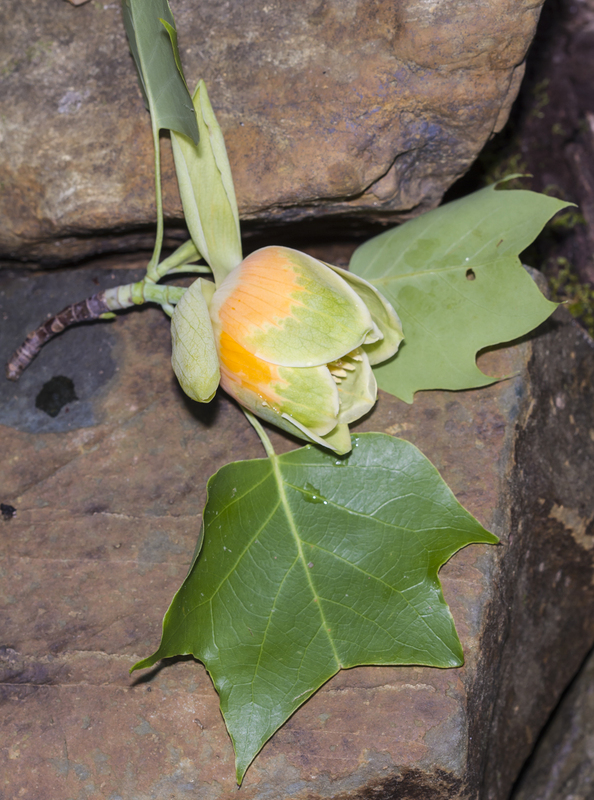 This entry was posted in Natural History and tagged tulip poplar flowers by roadsendnaturalist. Bookmark the permalink. Thanks Mike! 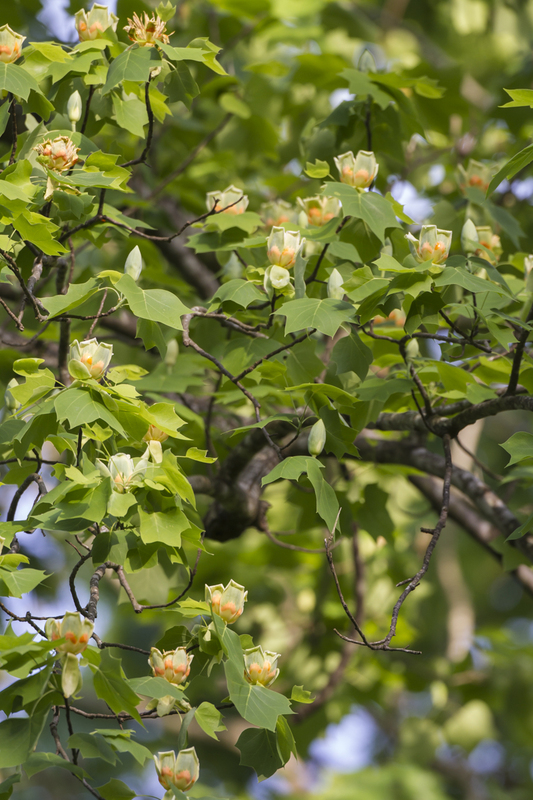 Your post is timely since I found some of those in my yard yesterday and intended to research the tree – I guessed it might be a Tulip Poplar but had no idea the flowers were so beautiful. They are unusual in that many of our common forest trees rely more on wind for pollination and therefore have smaller, less showy flowers.